Every day, I make efforts to throw away as little as possible. If something can be re-purposed or recycled, I'd much rather do that than send it to the landfill. I have recently found a useful destination for plastic lids! 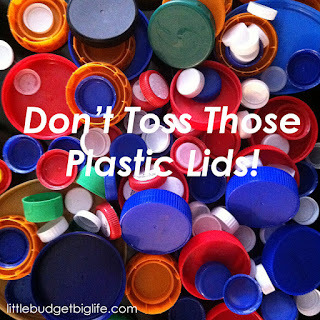 West Broadway Elementary School in Madisonville, Ky, collects plastic lids of all kinds. When they have enough of them, those lids are shipped to a company that turns them into fixtures of the students' choice for the school; I have visited recently and I've seen a bench and a trash can created from their efforts. You do not have to have a child in school there to contribute to their collection. They would appreciate your contribution. They take plastic lids from all kinds of bottles and jars, including but not limited to milk, juice, water, and peanut butter. Call the office at 270-825-6036 for details. This leads me to think that other schools and organizations in other places do the same thing. No matter where you're located, please consider finding a place that will reuse those lids!